A new wolf will be joining Sonic's pack, too. 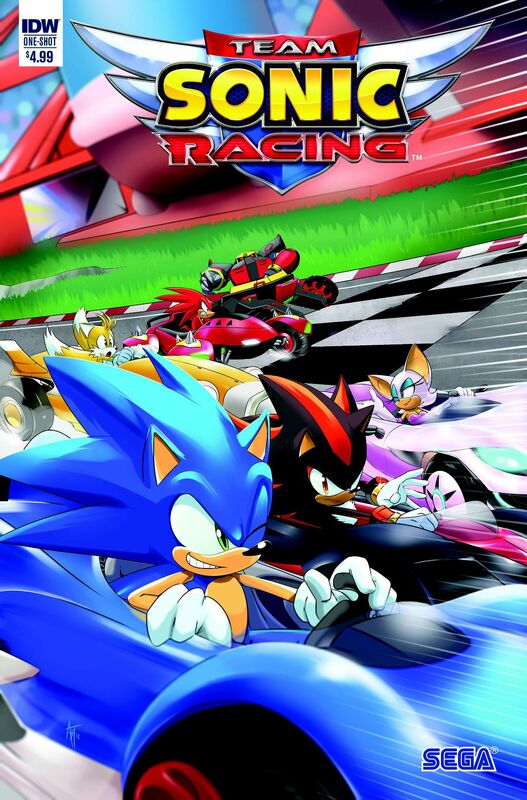 Start your engines for a special comic book dedicated to Team Sonic Racing! IDW Publishing and SEGA announced at San Diego Comic-Con Thursday that they will be publishing a one-shot prequel issue of Team Sonic Racing this October. They didn’t release a lot of details about the plot, other than Sonic and the gang will be racing against time to stop an “old foe” from obtaining a powerful new technology necessary to threaten the planet they’re racing on. Teenage Mutant Ninja Turtles writer Caleb Goellner will be penning the story, whilst Adam Bryce Thomas will be illustrating this action-packed race. I’m so stoked to write Sonic! It’s been a dream of mine ever since my dad surprised me with my first Sonic comic in ’92, so I can’t wait for fans to take this issue for a Spin Dash. Check out Bryce Thomas’s smooth cover art of Sonic and Shadow gunning for first place below. 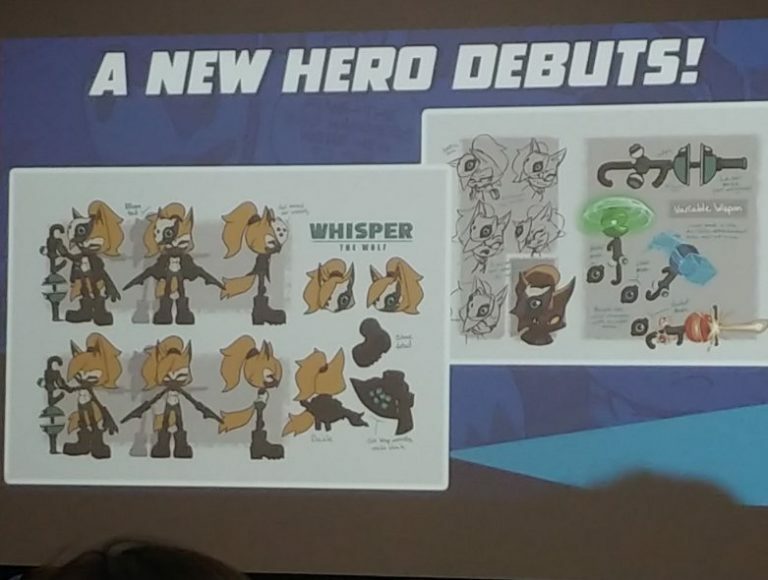 A raw photo of Whisper the Wolf’s concept art taken by Steve Streza at the Sonic the Hedgehog panel at San Diego Comic-Con.